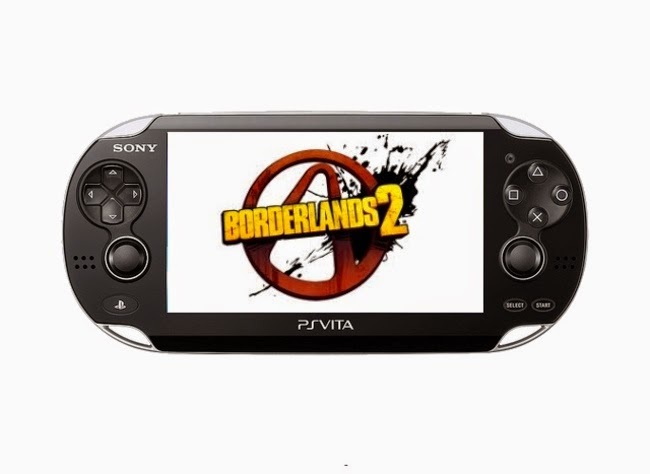 I picked up Borderlands 2 for the Vita yesterday. I’d like to say I was pleasantly surprised, but the fact is, I wasn't. Gearbox has established a solid reputation for awesome and porting a known success to the most capable hand-held device on the market is pretty much a slam dunk, so I expected this to be awesome. And it is. 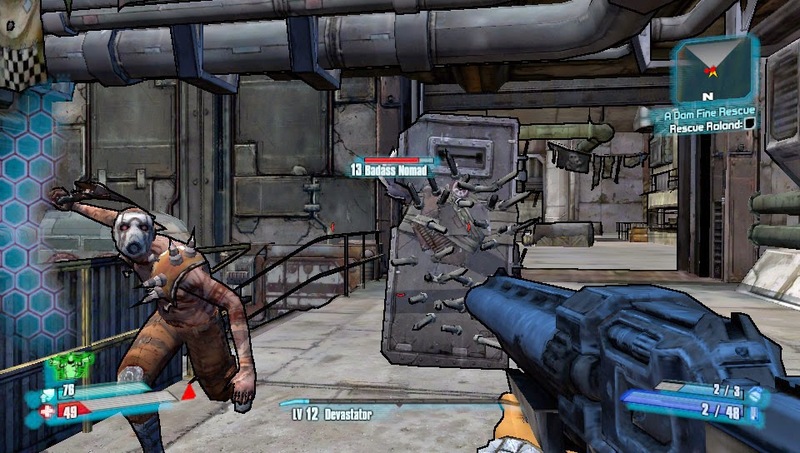 For anyone who’s played the console or PC versions of Borderlands 2, the story is exactly the same. The game comes with a DLC code to download all of the Game of the Year goodies, including limited edition skins, adventures, both additional characters, etc. The controls are very smooth. If you've played it on the PS3 (like me) the R3 and L3 buttons are on the back touch screen just behind the L1/R1 keys, and the L2/R2 are located on the front touch screen. I’m not a big fan of controls that have me sticking my admittedly thick and stubby fingers all up in the action I’m trying to observe, but this is a solid and relatively unobtrusive control scheme that works very well. What’s impressed me the most is the fact that the graphics suffer very little in the transition to a handheld device. The actual gameplay is near seamless and indistinguishable, and the resolution only suffers on the smallest moving parts. For example, many of the psycho inhabited areas are known for having chains of skulls or other fetishes swaying in the breeze. Occasionally these pieces of the background will be just a bit fuzzy compared to the images you’ll get from other platforms, but the game is so dynamic and the primary details are so vivid that you have to be actively looking to notice these small flaws. There’s not much else to say on this one. 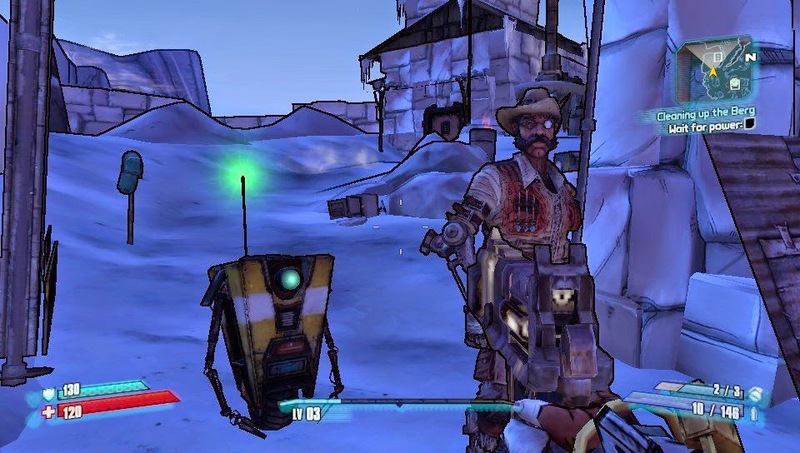 If you haven’t played Borderlands or Borderlands 2, I cannot go on enough about how great the story, art, and general play are in this outer space / wild west/ Kill Bill mash-up. The portable version on the Playstation Vita manages to fully deliver this excellent experience in a way that makes the game available for those whose free time generally doesn't crop up when they’re actually at home (I got in about 45 minutes of play during my ferry commute into Seattle this morning). With the cross save functionality and the packet of add ons this game features, if you have a Vita, and you like Borderlands, just pick it up. You won’t be disappointed.